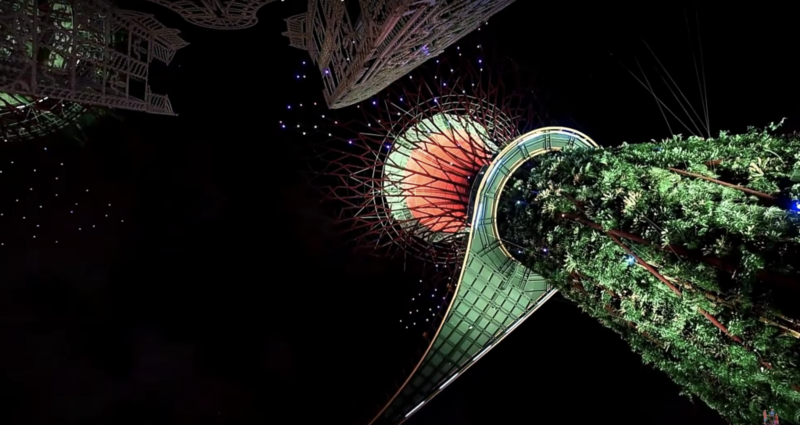 Singapore: It’s time to add Gardens by the Bay to your list of destinations this Christmas. For the fifth edition of Christmas Wonderland, here’s what locals and tourists alike can expect. The theme is Europe. For five years in a row, Gardens by the Bay has brought the European-style Christmas festivities to Singapore. 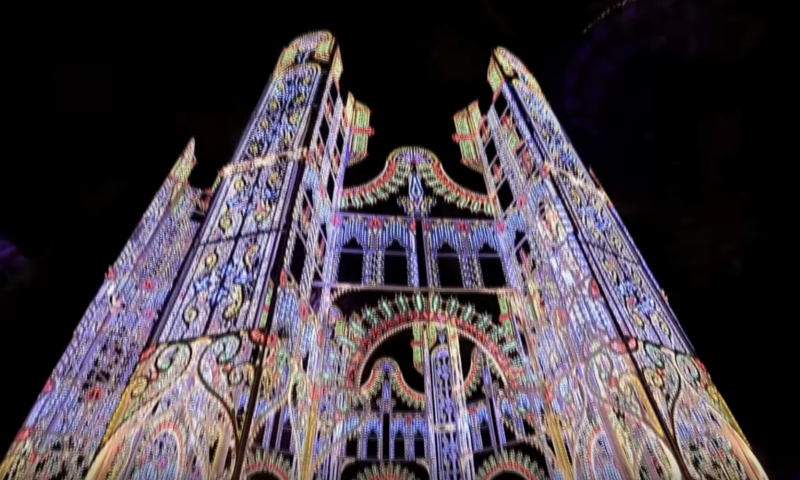 Light sculptures such as the gigantic handmade ones from Italy are back along with some new attractions like a mirror maze and a magic show. Rob Lake, an America’s Got Talent 2018 quarter-finalist, will be the main event for the Christmas Wonderland’s performance lineup with a show entitled “The Magic of Rob Lake”. Located at The Meadow, the show will be full of magical illusions that were specially designed for the festival. It will also be more intimate and interactive as the audience will be able to take part in his tricks. Lake is convinced that skeptics will be converted into believers by the end of his show. Within the Gardens by the Bay’s Supertree Grove, located at the heart of the luminarie sculpture, lies a maze of mirrors for everyone to get lost in. Christmas Wonderland’s organizer, Blue Sky Events says the inspiration was derived from Alice in Wonderland’s different mazes. With some “snowy” magic, families and loved ones can weave through the maze made of light and reflections. Relive your childhood in a 400sqm air-conditioned dome filled with Christmas themed installations as well as a Santa Claus. Lights and decorations are scattered all over the area to take snaps with. Located at the top of the grotto is a kinetic light decoration which is not only gorgeous but Instagram-worthy. Festivities will not be complete without food. Luckily, there will be a Festive Market and a Slice of SAVOUR, which is a smaller version of the SAVOUR Gourmet Festival, present. Modern Italian cuisine by Sinfonia, Chinese quick eats by Blue Lotus, modern French cuisine by Michelin-star chef Emmanuel Stroobant of Saint Pierre, the ever-popular burgers from Three Buns and many more will be there to satisfy everyone’s stomachs. Every Christmas Wonderland ticket entitles you to free access to Slice of Savour. Lounge about and enjoy your meal at designated areas while watching the Christmas edition of Garden Rhapsody, a light and sound spectacle. 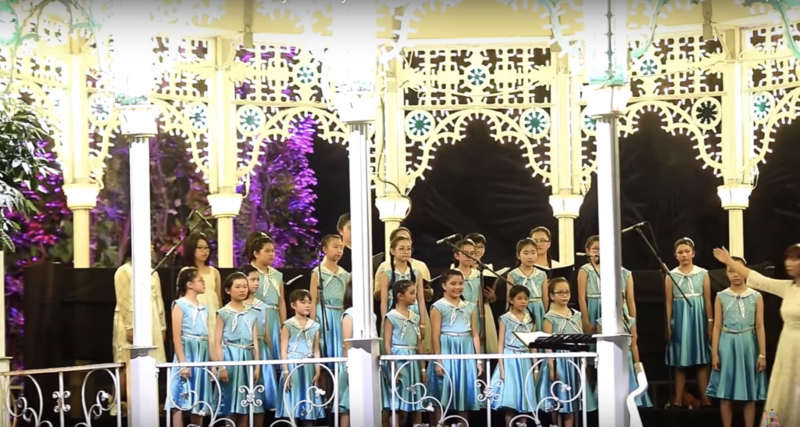 To top of the Christmas Wonderland experience, there will be carols. Enjoy a lineup of music by SPOP Sing! 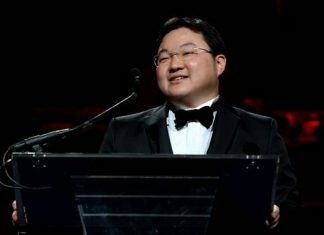 Mentor Joanna Dong, award-winning quintet Lorong Boys and SYC Ensemble Singapore and many more. The carols will be held at the Cassa Armonica which is located near Santa’s Grove. It is advised that visitors arrive at Gardens by the Bay before sunset in order to catch the lights being turned on as the skies grow dark. The fair opens on Friday evening, November 30 and will continue until December 26. 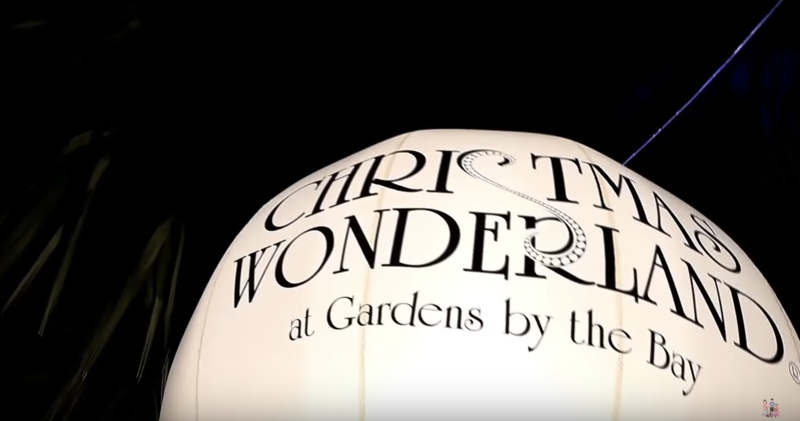 Tickets start from 4SGD and are available from the Christmas Wonderland website or on site.